Dr. Arcelay-Rojas lives in Albuquerque, NM. She received her EdD in Curriculum and Instruction at the Pontifical Catholic University of Puerto Rico in May 2014. Dr. Rojas has a Master in Public Health Education (MPHE), and is a Certified Health Education Specialist (CHES, #10167) since 2003. She has a B.S. in Biology, University of Puerto Rico. She currently serves as contributing faculty in the College of Health Sciences at Walden University and has served in this role since February 2016. Dr. Rojas has taught Human Development; Human Sexuality; Counseling Skills for Health Educators; Health, Safety, and Nutrition; Health Promotion; Health and Illness Through the Life Cycle; Environmental Health; Well-being and quality of Life; Essential Concepts in Health Sciences at other colleges and universities since August 2004. In addition, she served as coordinator of the School Health Education Program at the Inter American University of Puerto Rico. 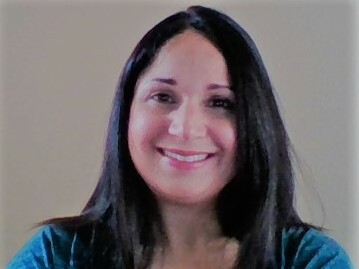 Professionally, Dr. Rojas has worked as a Public Health Educator for the Department of Health of Puerto Rico where she provided education about HIV/STI prevention. Furthermore, Dr. Rojas has worked in different settings as childbirth and lactation educator. She also designed and developed a mental health promotion curriculum. She has experience in qualitative research method skills including the use of focus groups in health, curriculum, and education. Arcelay Rojas, Y. A. (2018). Using Focus Groups to Explore Sources of Self-Efficacy in Puerto Rican Preservice Teachers. Journal of Educational Research and Practice. Arcelay-Rojas, Y. A., Avilés-Garay, E. J., Arcelay Rojas, Y. A. (2014). Pre-service teachers' knowledge and experiences regarding the application of practices that promotes educational resiliency. Revista Actualidades Investigativas en Educación. Arcelay Rojas, Y. A. (2018). Building resilience: Implications for students and educators . Puerto Rico TESOL Southern Chapter Conference. Arcelay Rojas, Y. A. (2016). Conocimientos y experiencias de candidatos a maestros sobre la aplicación de prácticas promotoras de resiliencia educativa. Arcelay Rojas, Y. A. (2002). Opinions of health professionals about the older adult's sexual health.